Essex Jct. 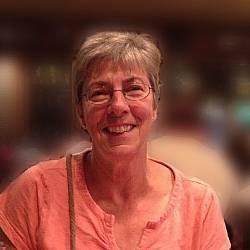 : Marthe Yvette Root, 71, passed away Sunday, August 20, 2017, at UVMC in Burlington. Born in Quebec on February 11, 1946, she was a daughter of the late Lionel & Isabelle (Plante) LeBel. Marthe was a former member of Holy Angels Parish in St. Albans and Ascension Parish in Georgia. She was a graduate of Holy Angles School in 1962 and was employed at IBM in Essex with the Human Resource Department, retiring in 2000. Marthe loved her family immensely especially the quality time she spent with her grandchildren. The Thanksgiving Season was a special time for her. Marthe was not only a talented and creative quilter; she also enjoyed gardening, especially flowers, traveling, playing cards, fishing and boating. She leaves her husband, Ronald J. Root of Essex Jct., her children, Gregory Corliss and his wife, Colleen of Lusby, MD and Kristen Port and her husband, Travis Weston of Colchester. Her six loving grandchildren, Katelyn Corliss, Reagan Corliss and Zachary Corliss of Lusby, MD and Gianna Port of Ft. Myers, FL, Isabelle Port and Damiano Port of Colchester. She also leaves her sister, ChristiAne Mason and her husband, Stephen Cooney of Wellfleet, MA, and many nieces and nephews, including, Travis LeBel and Teresa Irish of St. Albans and Matthew Garthwait of Rye, NH. Marthe was predeceased by a grandson, Michael Rock, a sister, Louise Kyper and three brothers, Guy LeBel, Pierre LeBel and Raymond LeBel. A Mass of Christian Burial will be celebrated Thursday, August 24, 2017, at 11:00 AM in Holy Angels Church, 246 Lake Street, St. Albans, VT with Father Joseph Ikegbunam officiating. Visiting hours will be Wednesday, August 23, 2017, from 6:00 to 8:00 PM in the Heald Funeral Home, 87 South Main Street, St. Albans, VT.
For those who wish, memorial gifts may be made to the MDS Foundation, 4573 South Broad Street, Suite 150, Yardville, NJ 08620.